Today is a special day for Sonic and Sega fans alike–particularly for those who live in North America. Though Japan received the goods late the previous year–and Europe had to wait enough month–the Sega Dreamcast and Sonic Adventure hit stores today, ten years ago. That classic date is September 9th, 1999–9.9.99. It would, in many ways, mark the beginning of the end for Sega, at least as a hardware manufacturer. Though it had support for online play out of the box, and a top tier library of games, the console was eventually trounced in the console wars almost immediately upon the announcement of Sony’s Playstation 2. With its predecessor serving as a spoiler to any success the Sega Saturn could have achieved domestically, the PS2, upon its release, finished the job, and cemented Sega’s current role as simply a software developer. But the date is known for brighter times in Sega’s history too. It would mark the true beginning of a new era for Sega’s flagship mascot–a 3D era. Since the release of Sonic Adventure, neither the hedgehog, his friends, or the company that’s concocted it all has looked back. Though Sonic 3D Blast, Sonic R, and the ill-fated Sonic X-Treme preceded SA, this title would be the first to enjoy near universal acceptance by both Sonic fans and the gaming press of the era. It is on that note that we take you back not to 9.9.99, but to August 22nd, 1998. On that date, Sonic Adventure was revealed to those in attendance at the Tokyo International Forum. Sega had a keynote speech there, and used the opportunity to unveil both the Dreamcast and SA to the world. Yuji Naka was on hand for the festivities, and though the majority of the speech is in Japanese, you can still feel the excitement. 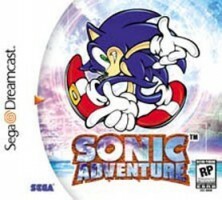 The video is the first in a five part series chronicling the development of Sonic Adventure. The video has been hosted on YouTube for some time now, but for your enjoyment, we are relaying all five parts here–from the August announcement, to Sonic Team’s travels to Latin America for research, to a live performance of Open Your Heart–and everything in between. There’s plenty of history to ingest here–we hope you enjoy it all.